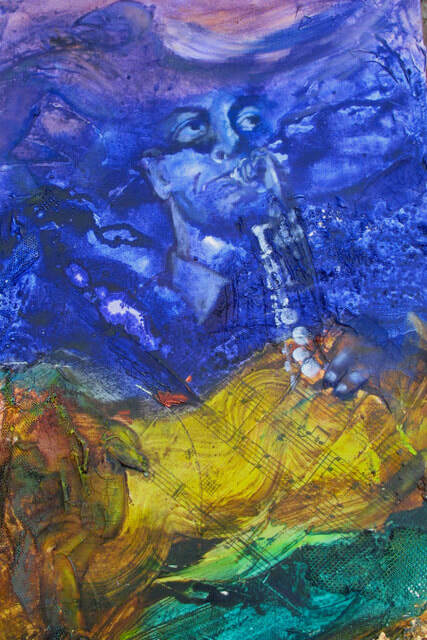 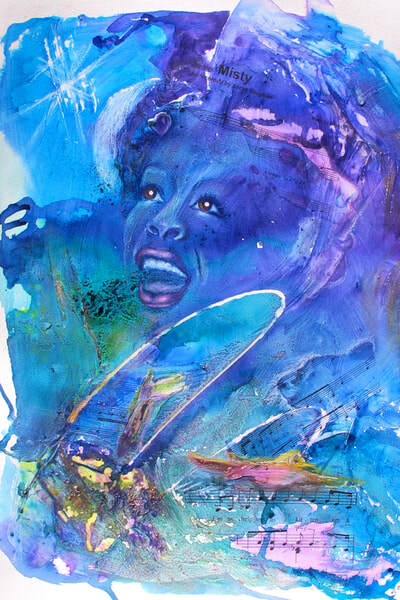 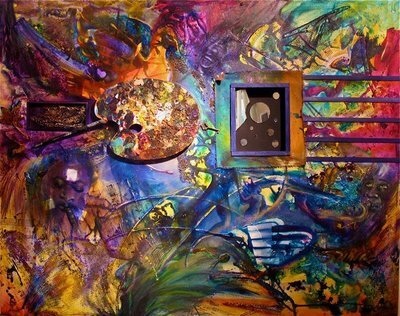 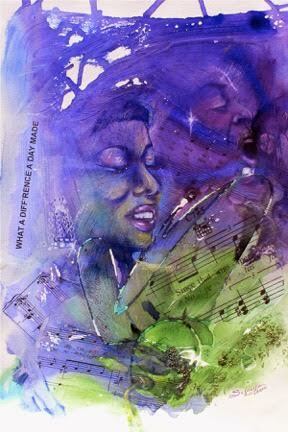 There have been “eras” where I have painted various musically inspired paintings. 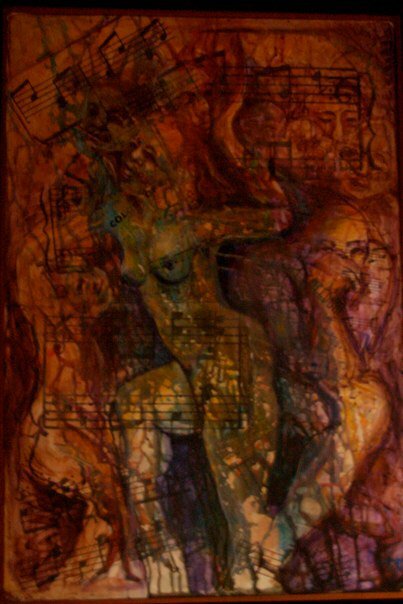 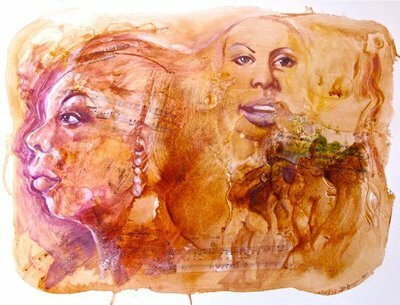 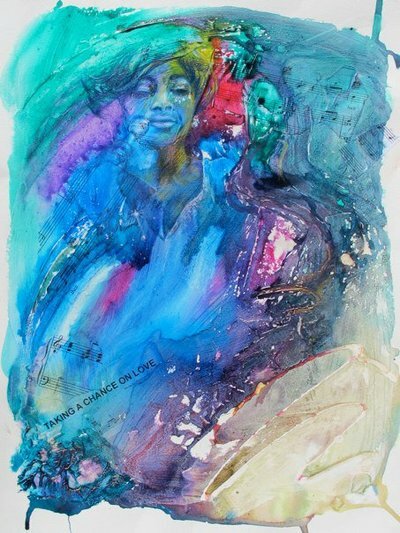 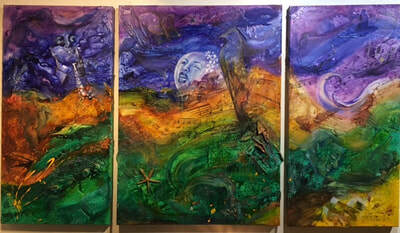 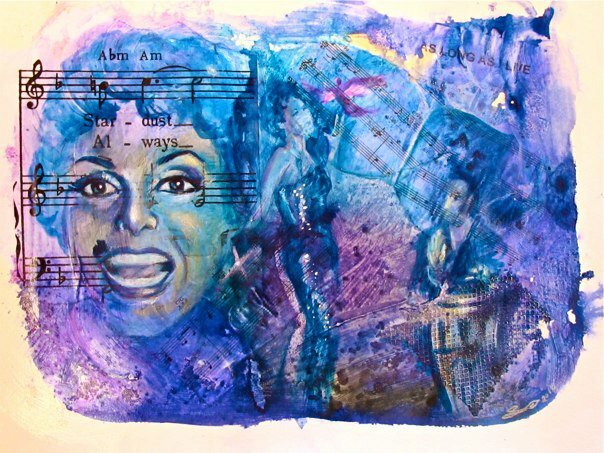 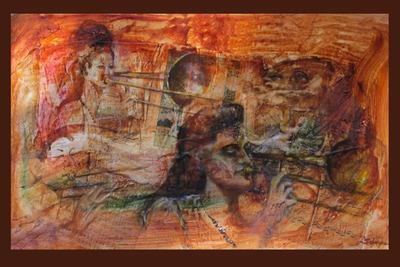 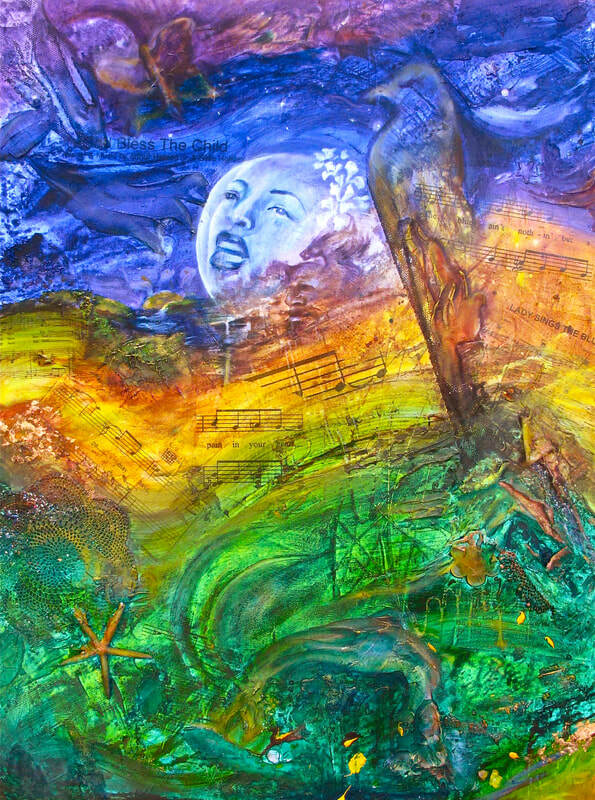 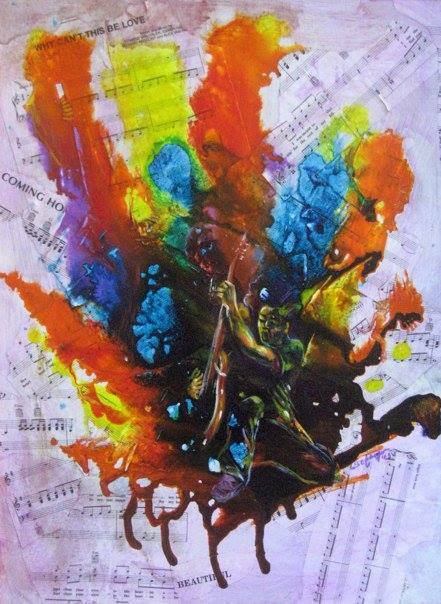 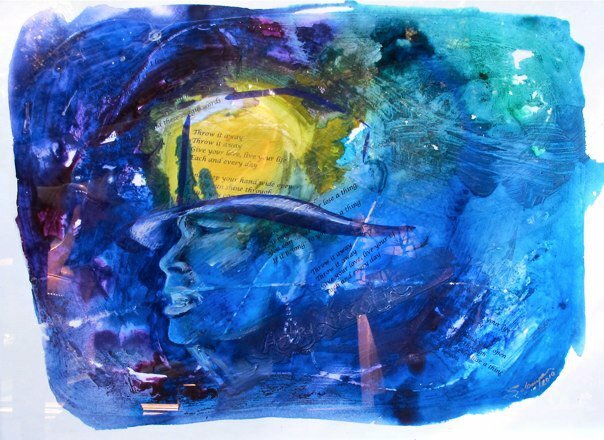 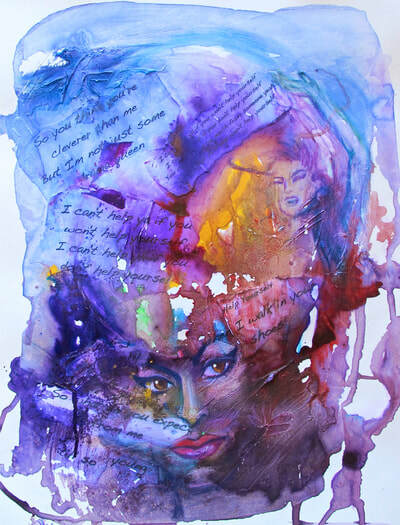 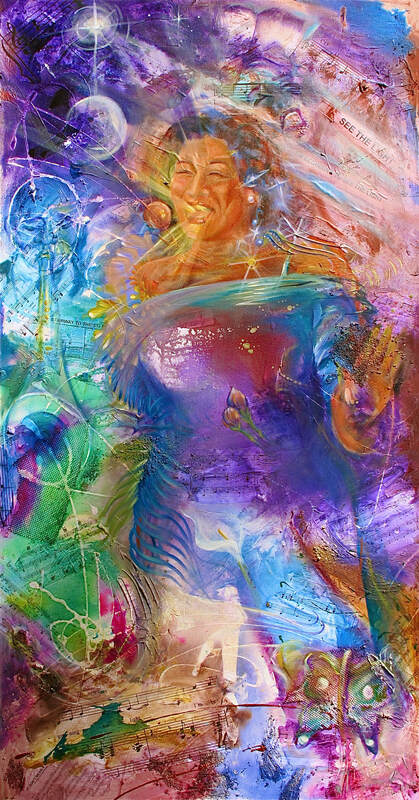 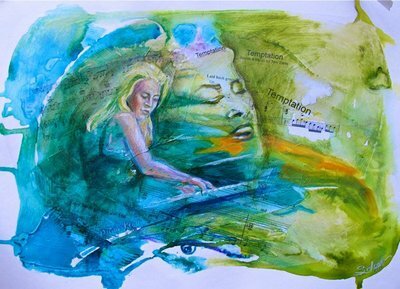 I love music and especially vocals so I often start a painting with textures made up of music scores and lyrics. On top of the textures and then colors I’ll incorporate the singer and sometimes other musicians. I am fascinated by the layering and interesting imagery that emerge and reveal the “story” of the musician and feeling of the music. I love the process of meditation, trust and the profound imagery that emerges which is a constant surprise and sometimes thrill.